The image itself had to be dynamic, i.e. animated. 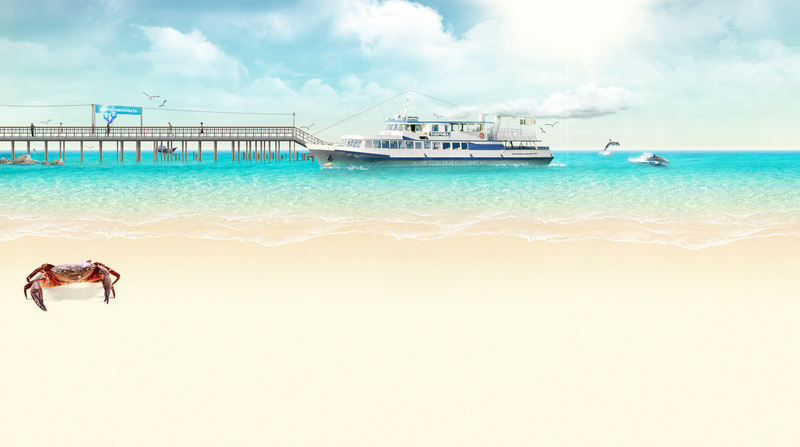 The «GIA-TOUR» travel agency offers customers unforgettable voyage on its own steamship, «Tavrika». So we decided to make it a part of website`s design. When all the photoswere received from a client, the process of creation begun. Crimea and its pearl - Eupatoria city. 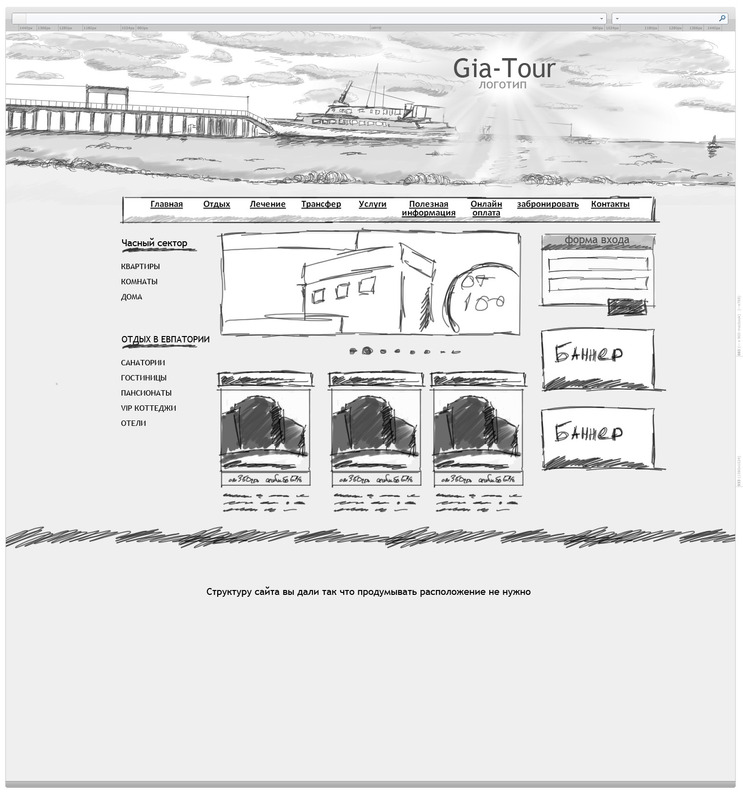 Eupatoria is famous for its magnificent seafront and piers which became basis for the website design idea. 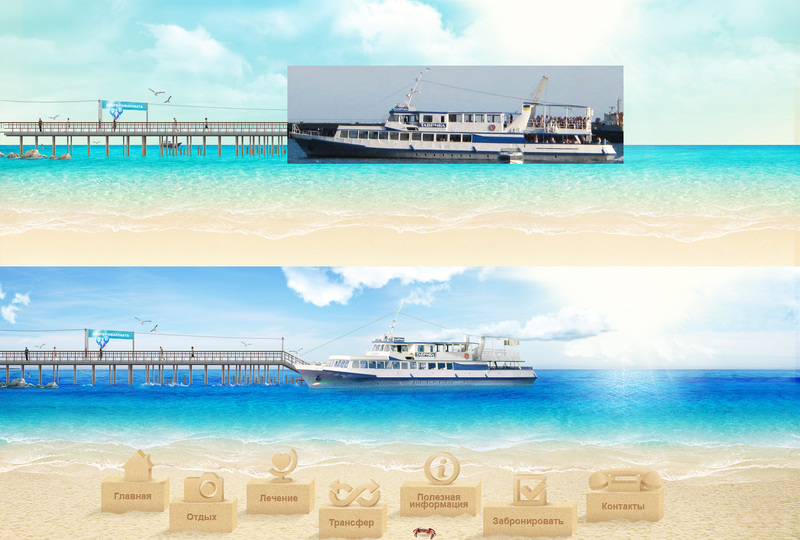 The website`s upper block is made with Flash technologies to depict sea waves, flying gulls and a steamboat engine working. The website visitors can choose an appropriate sanatorium by its therapy specialization.